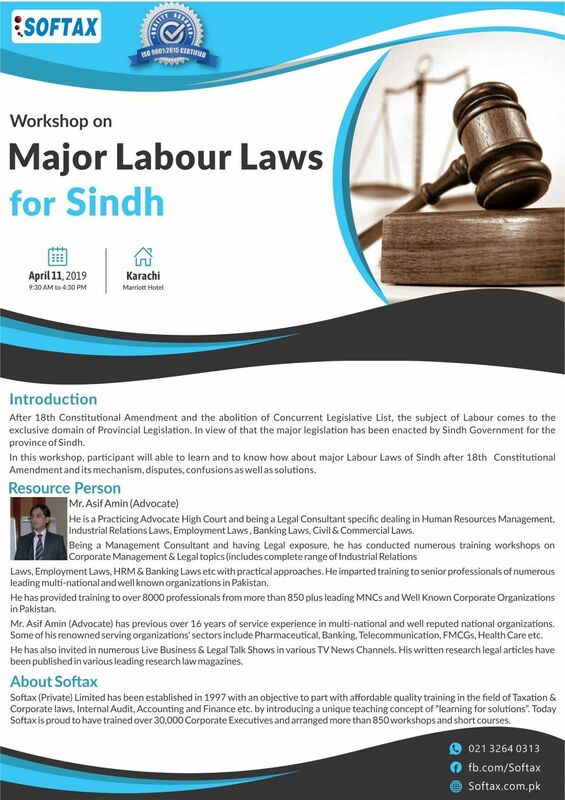 After 18th Constitutional Amendment and the abolition of Concurrent Legislative List, the subject of Labour comes to the exclusive domain of Provincial Legislation. In view of that the major legislation has been enacted by Sindh Government for the province of Sindh. 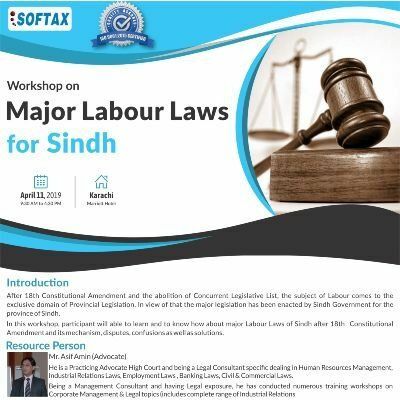 In this workshop, participant will able to learn and to know how about major Labour Laws of Sindh after 18th Constitutional Amendment and its mechanism, disputes, confusions as well as solutions. The Sindh Shops and Commercial Establishment Act, 2015. The Sindh Factories Act, 2015. Professional Development Workshop on "Setting Exam Papers"